Since the fall of the Berlin Wall, international corporations and governments have embraced the idea of a global village: a shrinking, booming world in which everyone benefits. What if that’s not the case? Alex Perry, award-winning foreign correspondent, travels from the South China Sea to the highlands of Afghanistan to the Sahara to see first-hand globalization at the sharp end — and it’s not pretty. Whether it’s Shenzen, China’s boom city where sweatshops pay under-age workers less than $4 a day, or Bombay, where the gap between rich and poor means million-dollar apartments overlook million-people slums, or on the high seas with the pirates of southeast Asia who prey on the world’s central trade artery, or South Africa, where Mandela’s dream for a Rainbow Nation is being crushed by a new economic apartheid, Perry demonstrates, vividly and chillingly, that for every winner in our brave new world, there are hundreds of millions of losers. And be they Chinese army veterans, Indian Maoist rebels or the Somali branch of al Qaeda, they are all very, very angry. 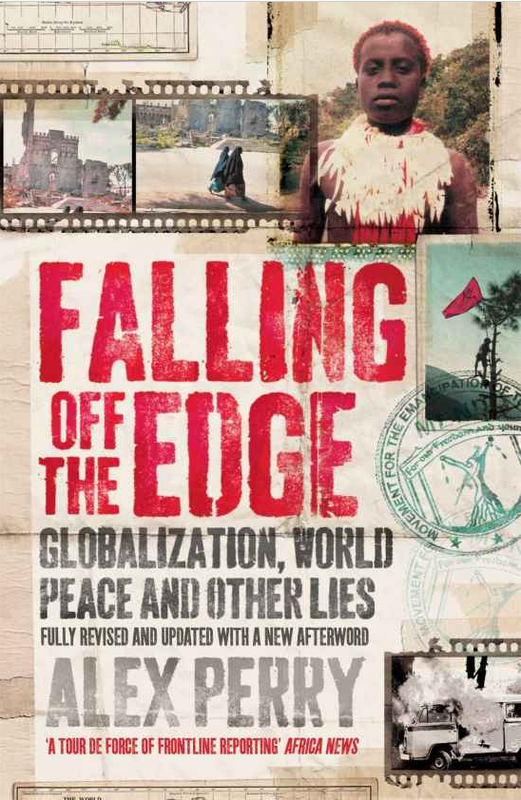 Falling Off the Edge is an adrenaline-charged journey through the developing world, which reveals with clarity that globalization starts wars. Far from living in a time of peace and prosperity, Perry suggests, the boom is about to go bang.